When it comes to briefing an agency for any kind of graphic or web design project, many business owners don’t know where to begin. Some are not sure what it is that they need or worry that they’re going to be faced with “fluffy” design language and buzzwords! Firstly, it’s important to understand that this is your brief and ultimately the start of a relationship with the designer because it’s the document you will use to judge if they have met your requirements. It’s an opportunity to explain the business objective in your language and what it is you want the design to achieve. More importantly, the quality of the information you provide here will have a direct impact on whether the designer produces the right result for your business, and will avoid the job over-running on time or over budget. Does your business have a problem or is it a new business opportunity? Are sales under-performing, or perhaps you have a poor website that isn’t attracting new business? Do you have a new product or service that addresses a gap or trend in the market? If this is a new product launch, will other products follow if successful? Try to define an objective in a clear and concise statement of what the customer needs to do as a result of the design. It could be that you have a story to tell about being family owned or British made. Are you focusing on quality, price or both? Why do people buy from you? Explain how your products or services solve problems for customers. What is the object of the design brief? There are specific questions you need to consider depending on what is actually being designed. If it’s design for print, such as a brochure, flyer or advert, consider who will be receiving or seeing it, where they will ‘pick it up’ and how they will use it. Who will provide the content to the design agency? Do you have copy or images available to supply? If it’s new branding, where will it be applied? Your ‘brand mark’ will define and reflect the personality of your business, so you will need to describe what you represent. This could be in terms of imagery or colours that you would associate with your business. Are there any existing logos in the market which would appeal to your customer and why? If it’s a website, you need to define its main purpose and the journey you want to take your audience on (we can also help you with this). What is the end goal? Is it informative, or do you need to drive lead generation through consumer engagement via social media or a newsletter subscriptions? Does the site need to be optimised for your target audience, for example for use on mobile phones? What should your brand be communicating to customers? Describe the personality of your business. Are you experts, trusted, professional, sophisticated? Creative, casual, approachable, funny? Fun, young, bold, unique? This covers anything else that would be helpful to the designer. Such as whether you have a style in mind, or have you seen a design or website (perhaps outside of your industry) that has appealed to you? Are there existing brand guidelines within your company? Is there something you (or a key decision maker in your company) absolutely hate? This could be an example of another website, a certain feature or colour. Letting the designer know this will prevent them wasting time on an element you will then reject. If you already have a great logo and great imagery, make sure you include this in your brief! In order to put together effective designs, we need high resolution images and what’s called ‘Vector’ files of your logo. These usually come in the form of an .AI (Adobe Illustrator) or .EPS (Encapsulated PostScript) file – these allow us to scale your logo to any size required. Photos should be supplied at least 1MB in size as a general rule, but 300dpi would be better. Be clear if you have a deadline that needs to be met due to a product launch or event, and understand if there is any flexibility or not. Ensure you’ve considered lead times through the supply chain. Also, think about who in your business needs to have a say in the design, if you have 5 people that need input then expect your sign off procedure to take a long time. We never recommend ‘designing by committee’ as everyone will have their own opinion and agenda and you rarely manage to stick to the brief and overall objective. Once the schedule has been discussed, your agency should tell you how and when they intend to present the work back to you. Be aware though, creative design is not a science, your creative has to use inspiration and experience to design, so sometimes this can come in an instant and sometimes it needs a little more thought. Even if you don’t want to state a top figure, ensure you understand how the agency structure their charges, and outline your expectations. There may, for example, be additional charges for photography or copywriting. Finally, don’t bury your brief away in your files! Keep it to hand as it will act as a guiding document for you, and help you feel confident at the end of the project that you’ve got the right result. 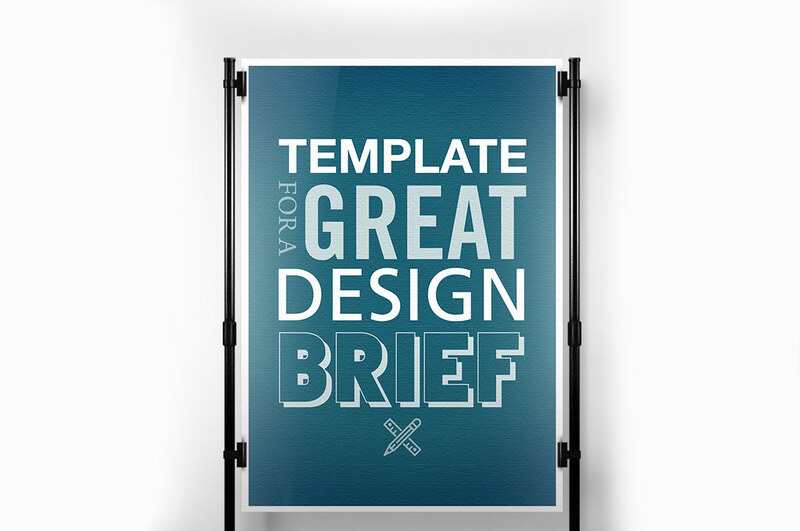 If you’re starting from scratch, you can always download our template for a great design brief to give you a few pointers to start with.